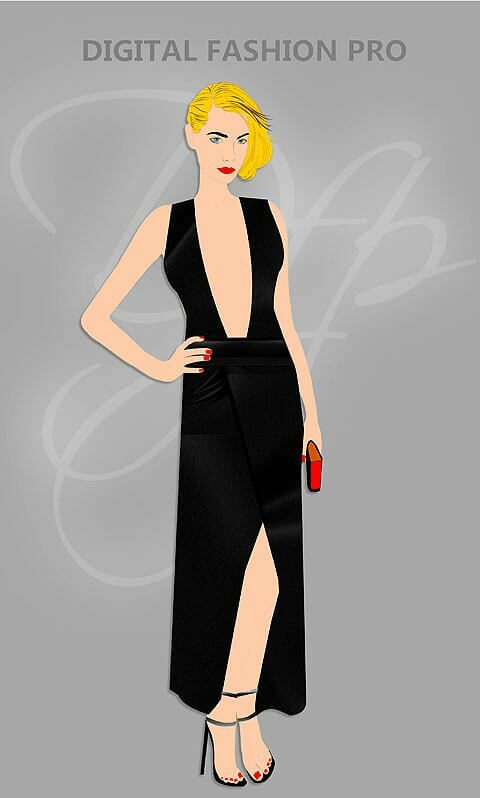 Creating a Designer Clothing Fashion Line is easy to start with Digital Fashion Pro Fashion Design App. You can get tools to help you start your clothing line and design it like a true fashion designer. Design a line based on current fashion trends in online shopping or even true classic pieces. No mater what fashion style or fashion trends you want to create – The Digital Fashion Pro Fashion Design App for Windows and Macs can help you design your own clothing. Manufacturing a designer clothing fashion label can be created by you even if you can’t draw or sew. Yes, you an become a fashion designer even if you can’t draw or sew. Fashion design classes and fashion schools are available locally but nothing compares to jump starting your fashion career with Digital Fashion Pro Fashion Design Software. In minutes, you could be well into creating your own fashion brand and designing clothing. Designer clothing online can be designed by you in the comfort of your own home. 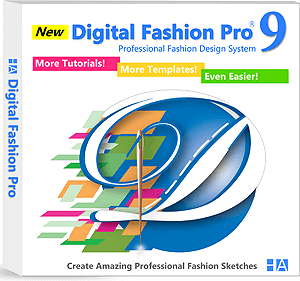 Digital Fashion Pro comes with fashion design course of videos and e-Training guide that will have you designing women’s wear and men’s wear within minutes. Nothing can hold an aspiring fashion designer back when they have Digital Fashion Pro in their arsenal. Designer clothing shopping online for fashion trends in men’s and women’s clothing can propel you into the fashion world. Use inspiration to give you fashion ideas and style directives. Visiting online fashion stores, boutiques and shopping clothing websites can also boost your creativity. If you notice that something that you want to order isn’t available anywhere but you strongly think it should be could lead to you coming up with your own niche. Designer clothing trends fashion can point you in the right direction. The best fashion ideas often come from looking at what is hot and creating your own twist or variation. This can help you stand out in the crowd and make people want to buy your clothing. There are many top designer clothing fashion labels you can draw inspiration from. You can be inspired by their new collections or even by the company’s or the founding designer’s backstory. Here are a few of today’s hottest fashion designers that we love: 1 Phillip Lim, Alexander McQueen, Alexander Wang, Altuzarra, Anya Hindmarch, Badgley Mischka Collection, Balenciaga, BCBGMAXAZRIA, Betsey Johnson, Brandon Maxwell, Brooke Gregson, Burberry, Calvin Klein, Carolina Herrera, Chanel, Chloé, Christian Louboutin, Christian Siriano, Daniela Villegas, Dior, DKNY, Dolce&Gabbana, Donna Karan, Ellery, Elie Tahari, Emporio Armani, Fendi, Giuseppe Zanotti, Givenchy, Golden Goose, Gucci, Isa Arfen, Isabel Marant, J.W.Aanderson, Jimmy Choo, Joe’s Jeans, Jonathan Simkhai, Jordache, Junya Watanabe, KARA, Kenneth Cole, Kenzo, Lacoste, Lafayette 148 New York, Lela Rose, Levi’s, Louis Vuitton, Lucky Brand, Maison Michel, Manolo Blahnik, Marc Jacobs, Marchesa, Max Mara, MCM, Michael Kors Collection, Missoni, Molly Goddard, Moncler, Monique Lhuillier, Moschino, Oscar de la Renta, Paige Denim, Prada, Rachel Gilbert, RED Valentino, Saint Laurent, Salvator Ferragamo, Sean John, Sofie D’Hoore, St. John, Stella McCartney, Tod’s, Tommy Hilfiger, True Religion, Valentino, Veronica Beard, Versace, Victoria Beckham and Zac Posen. You may ask: What steps should I take to start my own clothing line? What if I can’t draw? How much money do I need to start a clothing line? How can I get started as quickly as possible? How can do I trademark my clothing line? How can I find a manufacturer for my clothing line? Can I still get a clothing line started with no prior fashion experience? How can I design my own clothing? How can I find manufacturers that make small quantities? How can I become a fashion designer and design my own clothing? How to write a business plan for my designer clothing line? How can I send my fashion designs to apparel manufacturers? We have the answers you seek and more because we know first hand about what type of resources are important to new and established fashion designers. We know that fashion is your life and that is why we not only want you to excel on the creative end but succeed on the business end as well. Greatly increase your chances of becoming a successful fashion house by getting the proper knowledge and vital information that we have to offer. Even if you can’t draw we can help you get well over that obstacle with our software Digital Fashion Pro. 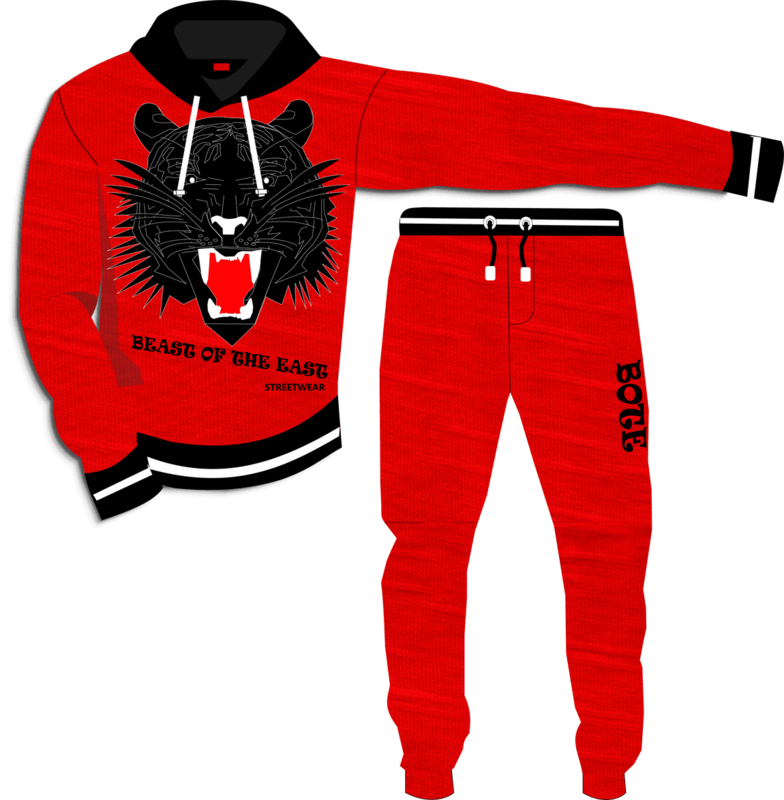 Bring your fashion ideas to life with your own signature clothing line today! There is nothing like making the first step towards your dream. This site has everything you need to know about starting your own clothing line and more. For 15 years we have been helping fashion entrepreneurs and designers accomplish their fashion goals. We are also proud to have our starting a clothing line books in Libraries and Fashion Schools around the world. This is a testament to our efficient our products are. Give us a try. Let us help you take your new clothing line to the next level. Digital Fashion Pro is the Fashion Design Software App for the apparel designer to create designer clothing designs and fashion sketches. With this clothing design tool – you will be able to create lifelike fashion sketches right on your computer with ease. It will take your fashion designing and creativity to the next level. Whether you want to design fashion for fun, for another line or eventually your own clothing line – Digital Fashion Pro can help you achieve your goals. Even if you have no prior fashion design or fashion experience – the video’s and eGuide included in Digital Fashion Pro will have you well on your way to designing your own fashion brand with ease even if you can’t draw! Hailed by fashion design experts as “…a real world manual to starting a fashion business for any apparel designer…” and “…absolutely inspiring…” this comprehensive, fashion industry step-by-step guide to achieving exactly what the title says – is stirring up some much needed energy in the world of fashion and the spirit of entrepreneurs everywhere. Armed with the incredible design software, Digital Fashion Pro, and a multitude of information, including manuals, textbooks, and reference guides – digitalfashionpro.com is the ultimate resource to assist an individual and/or company with beginning or enhancing their business endeavor. 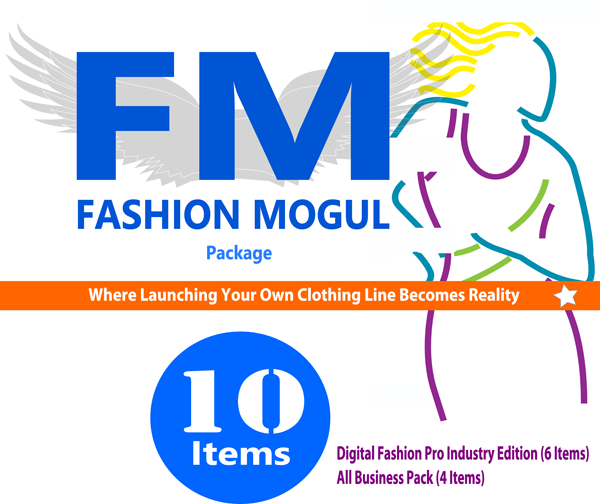 From the time the concept pops into your head, digitalfashionpro.com’s Fashion Mogul Clothing Line Start Up Package walks you through the detailed process entailed with actually getting your fashion designs into consumers’ closets and retailers’ shelves. DigitalFashionPro.com demonstrates firsthand how FALSE all of the above statements are. The authors’ positions are about good old fashioned business building. Goal setting and achievement. Elbow grease and imagination. They stand by the belief that never losing sight of your vision, no matter wherever you are, with whatever skills you possess – your passion combined with the right resources, will yield a successful fashion entrepreneur and designer. Much of the knowledge the customer gains from utilizing digitalfashionpro.com is information they won’t receive elsewhere. Real-world is a most accurate description, because the kit offers up answers and guidance related to real-world scenarios; such as, finding deals with manufacturers, production and distribution, branding, quality control, trademarks, packaging, and much more, including real-world solutions to the many obstacles companies run into throughout the creative and business process. The fashion software in particular, Digital Fashion Pro, is incomparable in its abilities to provide the designer with a true sense of how the end-product should look and feel. 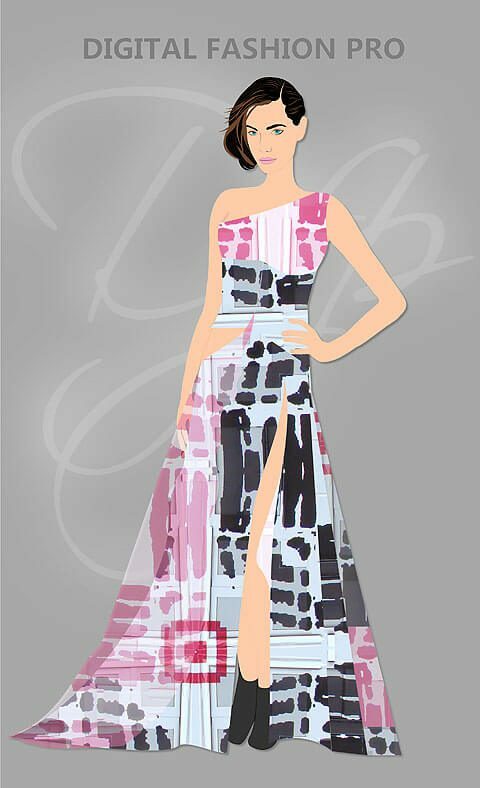 With the use of their trademarked Digital Fabrics, it is possible to create lifelike fashion sketches on the computer – a capability no other fashion design software can attest to. The Trendsetter Package gives individuals of all backgrounds the tools they need to start a clothing line and make it in the fashion industry. Just how helpful is our how to start a clothing line course? –Julie P. Fashion Design Chair, International Academy of Design and Technology — MI. Read The Article on How to Start a Clothing Line from scratch! Get all of this and more for a great low price! How to make sure your manufacturer is shipping you quality. How to make sure your manufacturer is giving you the best prices. What countries you want to avoid doing business with because of bad quality. Knowing how to know when you should fire your manufacturer. How to avoid being the next manufacturing horror story! How to tell if you are working with a good manufacturer. How to know if your manufacturer is taking advantage of you and your policies. If you have never worked with a overseas manufacturer then do not try it with out reading this manual first! Retailers – how some will try to use your line to…..
Manufacturers – Are they going to do what they say? What if they don’t? 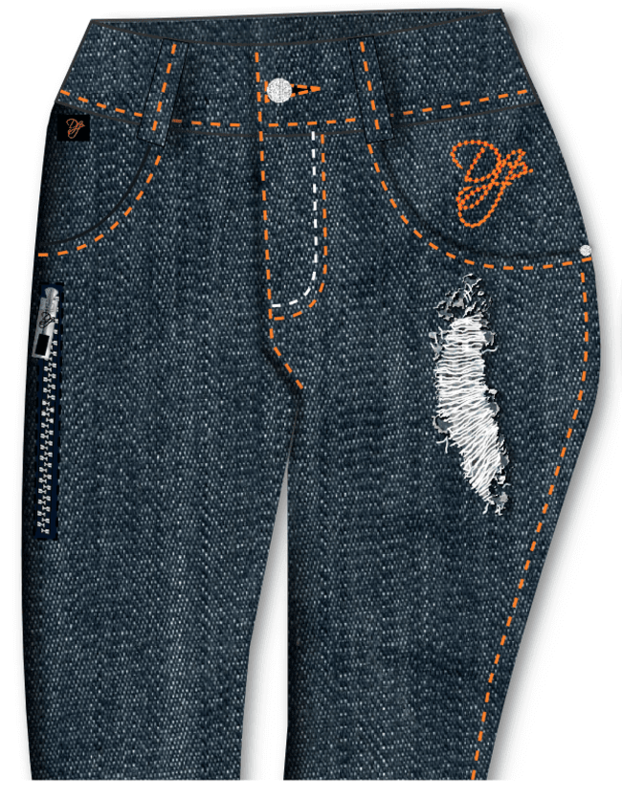 Quality – Your clothing brand new jeans just came in and you noticed that every pair has…..
Advertising – Your ad is about to come out but…. Your shipment arrived at customs but your visa ……………. What happens when your order comes in after the season? The Truth about the Magic Trade show and Getting Orders Knowing when you should do Magic. Let the knowledge of some of our experiences and others save you a lot of heartache. Quality Checks to present to your clothing manufacturer so they won’t mess up on your order. True Insider Information that has never been told or will be found anywhere else but here. And Much More…….